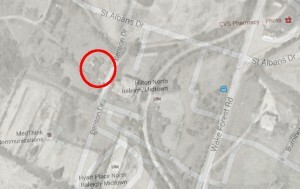 Update 3 Dec 10:25 PM: I am wrong about the location while Mike Legeros is correct. The best news of the day, though, is that I found the remains of the old tavern building! I will post details as soon as I can get Google Earth to behave. Sorry for the wait! 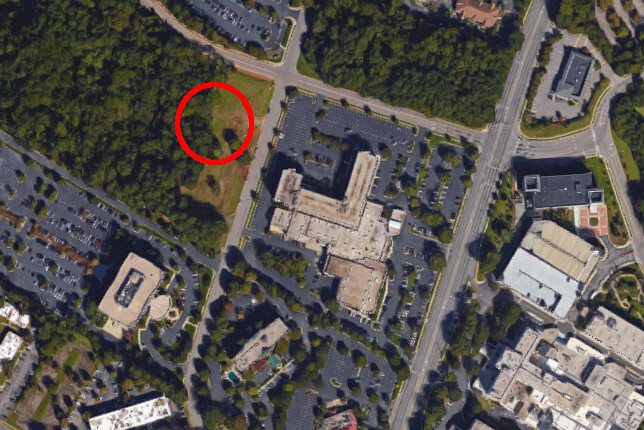 If you’ll recall, five years ago I set out on an Internet quest to determine exactly where Isaac Hunter’s tavern once stood. 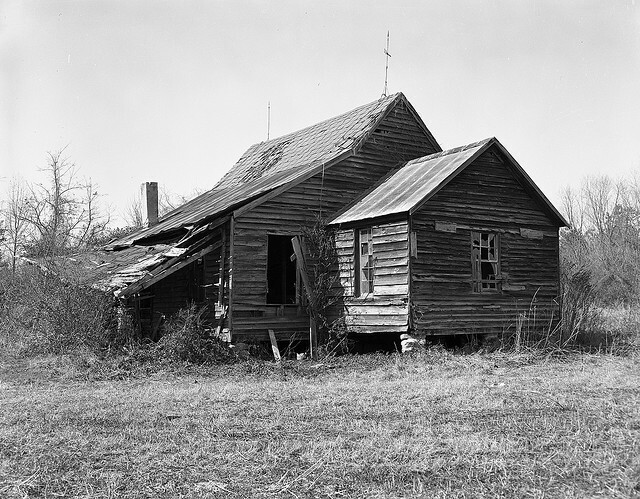 The Tavern was of important historical significance because it when North Carolina’s state capital was being created, legislators decided it should be within ten miles of the Tavern. 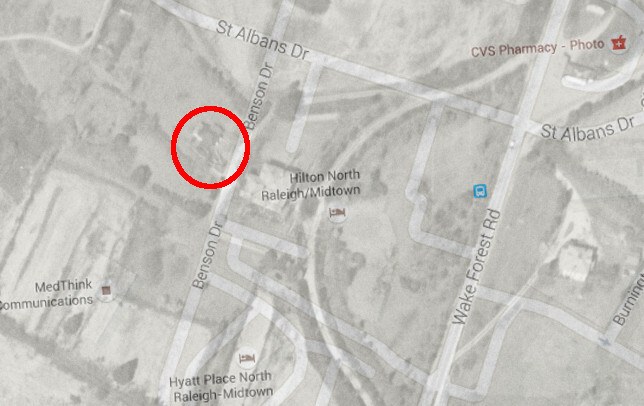 Sadly, the Tavern met the same fate that many of Raleigh’s historical properties met in the early 1970s: it fell into disrepair and was later bulldozed. Also sad is that I never completed my quest. Tonight I got an email from Steve Hall, who found my blog post and asked if I’d ever actually solved the mystery. 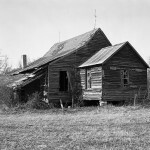 Steve’s email prompted me to actually finish what I started, so tonight I present to you a few additional historical photographs of Isaac Hunter’s tavern, courtesy of some resource links that Steve sent me (thanks, Steve!). 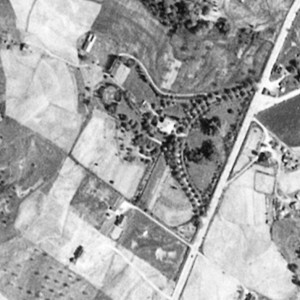 Here is the Tavern as it appeared on an aerial photograph taken in 1959. Wake Forest Road runs north and south on the right side of the photo and you can see St. Albans Road stretching into the northeastern corner. The curving driveway leads up to a larger, more modern home that was built on the tavern property. In the red circle to the west of the home is the tavern, based on some time I spent matching up the tavern roofline. I learned that near the end of its existence the tavern was used as a horse stable, so its spot here behind the main home seems to support that. 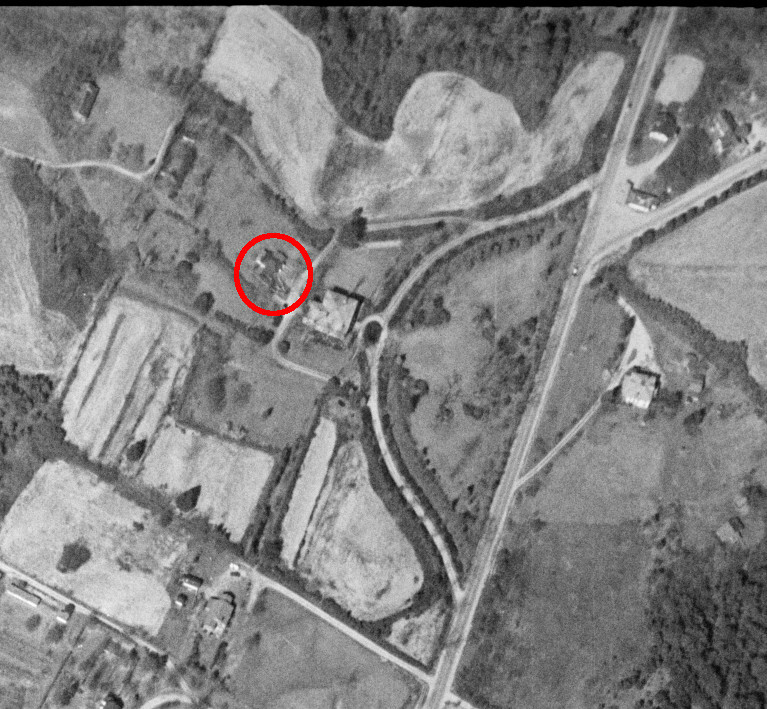 The funny thing is, an aerial photograph taken in 1938 does not seem to show the tavern at this same spot. In fact, I’m not sure where the tavern was at this point as I’ve scoured this imagery and can find nothing I can match up with it. 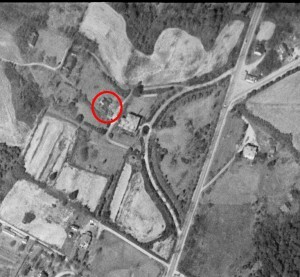 My guess is that the tavern might be just south and slightly east of the main house along the curving driveway but I don’t really know for sure. It could actually be in the same spot as it is in 1959 but it sure doesn’t look like it to me. A smile crossed my face as I was lining up these images. Benson Drive started off as the dirt path that split the home and the tavern! Also delightful is the fact that the land where the tavern itself last stood is still (for now) undeveloped! There still could be historical nails and/or other artifacts to be found at this spot. Hurray! I want to thank Steve for prompting me to finish my quest and for the handy links he provided: the 1938 aerial and 1959 aerial sets from UNC’s collection of USDA Historical Aerial Photos. For reference, I used images 6W_145 from the 1959 imagery and 13-212 from the 1938 imagery.